Most couples would agree that life can be pretty chaotic, whether you’re raising kids or nurturing a little fur family. It’s enough to get the household chores done, make sure the kids are fed, pets are walked, and everyone makes it to school and extracurricular activities on schedule. Who has time to worry about minor slights between you? There’s an old writer’s saying, “Show, don’t tell.” It’s good for writing a story. And it’s great for taking care of your love life! No matter how many times you might tell your partner you love them, showing them makes it feel real like no words could ever do. If your husband is emotionally distant and you feel the constant need to pursue him you may feel very alone, but the truth is you are not. Eighty percent of couples deal with this at some point in their marriage. The problem with pursuing him and trying to fix things is that you are the only one putting effort into the marriage. This creates a “comfort zone” for your emotionally distant husband. He feels that he need not put in the effort, because you will always be there. You must come at this from a different angle. Are marriage issues preventing you from having the marriage relationship you’ve always dreamed of? When you find true love, it can be a glorious experience that brings feelings of ecstasy beyond your wildest imagination. Sadly, not all relationships remain that vibrant and healthy. While no relationship is perfect, some relationships deteriorate to the point where one or both of you start thinking that divorce is the only option. Sometimes in life, situations surface that you’re unable to predict or control. In essence, many factors exist which can overflow into your marriage. Unfortunately, those factors can wreak chaos on your love and relationship. Making marriage work is a lot of work. In fact, more work than you ever imagined when you said “I do”. 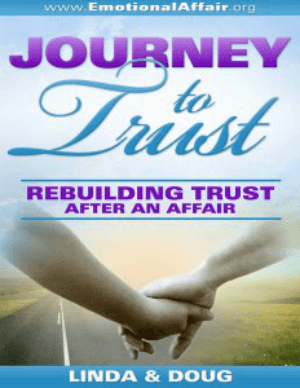 But when it’s time to rebuild the love and trust in your marriage after infidelity has rocked your world, you can’t just do nothing. Or hope and pray that things will get better with time, because they won’t. One surefire way to get the relationship you’ve always dreamed of, is to create more companionship in your marriage. Friendship plays an important role in any marriage. When you like the one you love, you can enjoy both romance and companionship.